A Jackson County, Mississippi judge has sentenced Scotty Lakeith Street (pictured), a capital defendant suffering from chronic paranoid schizophrenia, to life without possibility of parole after his capital sentencing jury did not reach a unanimous sentencing verdict. The sentence is another in a series of notable cases in which jurors presented with evidence of mental illness have spared severely mentally ill defendants the death penalty. Street was convicted murdering a retired special education teacher, stabbing her 37 times. His lawyers presented evidence from family members, caregivers, and mental health experts of his lifelong history of "erratic" behavior and what two psychiatrists called his "chronic and severe" mental illness. Family testimony detailed his repeated mental health hospitalizations, with one sister testifying "Scotty's been institutionalized so much, it's beyond my count." A mental health professional who treated Street testified that as a result of the effects of his schizophrenia, he needed to live in a group home with the services of a caregiver. Witnesses described some of Street's schizophrenia-induced bizarre behavior, including putting plastic bags on his head "to keep his brain from leaking out," swallowing nails, painting his body, running naked in public, and tying a Coke bottle to his genitalia. A poll released in December 2014 found that Americans oppose the death penalty for people with mental illness by more than a 2-1 margin. That has been reflected in a number of high-profile jury verdicts in the last few years in cases involving severely mentally ill defendants. James Holmes, a severely mentally ill and delusional man who killed twelve people in an Aurora, Colorado movie theater, and Joseph McEnroe, who murdered 6 members of his girlfriend's family near Seattle, Washington, were sentenced to life when multiple jurors in their cases believed their mental illness made the death penalty an inappropriate punishment. Juries returned unanimous life sentences for mentally ill Dexter Lewis in the stabbing deaths of five people in a Denver bar and Christopher Monfort in the murder of a Seattle police officer. An April 2017 study of 21st century executions revealed that 43% of the prisoners executed since the turn of the century had received a mental illness diagnosis at some point in their lives. In 2012, Mississippi executed Edwin Turner, a mentally ill man with a family history of mental illness: his great-grandmother and grandmother were committed to state hospitals and his mother attempted suicide twice. A Florida man, John Ferguson, also diagnosed with paranoid schizophrenia, was executed in Florida on August 5, 2013, despite reportedly having experienced severe hallucinations since 1965. This year, legislation has been introduced in seven states to bar the death penalty for severely mentally ill defendants. 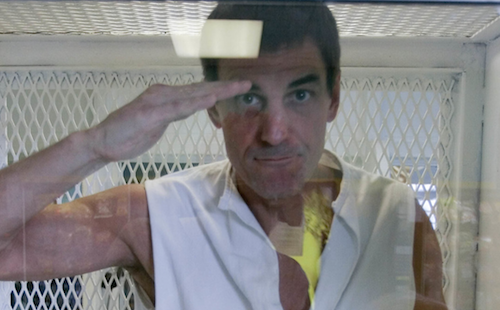 The U.S. Court of Appeals for the Fifth Circuit has reversed a ruling by a Texas federal district court that had denied Scott Panetti (pictured), a severely mentally ill death-row prisoner, the appointment of counsel and funding for a mental health expert and investigator to evaluate his competency to be executed. In a 2-1 ruling issued July 11, 2017, the Fifth Circuit, noting that "a decade has now passed since the last determination of whether this concededly mentally ill petitioner is competent to be executed," ordered Panetti's case returned to the lower federal court to appoint counsel, provide funds for an evaluation, and grant counsel sufficient time to prepare a petition on Panetti's competence. Under the U.S. Supreme Court's 1986 ruling in Ford v. Wainwright, prisoners who become mentally incompetent—that is, so mentally ill or cognitively impaired that they are "unaware of the punishment they're about to suffer and why they are to suffer it"—cannot be executed. Panetti has twice been granted stays of execution related to his mental health and competency to be executed. In 2007, the U.S. Supreme Court ruled that the Texas federal courts had misapplied the Ford standard when they ignored the effect of Panetti's paranoid schizophrenic delusions on whether he had a rational understanding of his pending execution. The Court wrote: "Gross delusions stemming from a severe mental disorder may put an awareness of a link between a crime and its punishment in a context so far removed from reality that the punishment can serve no proper purpose." On remand, the lower courts denied Panetti's challenge to his competency without providing him a lawyer and a mental health evaluation to develop his claim. In a statement, Panetti's lawyers said, "We are grateful that the court found that Mr. Panetti’s nearly four decades of documented schizophrenia and severe mental illness provided a sufficient showing to obtain experts and resources to pursue the claim that he is currently incompetent for execution.... Mr. Panetti has not been evaluated by any mental health experts since 2007 and his severe mental illness has only worsened while in prison. We are confident that when the lower court is presented with all the evidence, it will find that Mr. Panetti, a schizophrenic man who insisted on representing himself at trial and attempted to subpoena the Pope, John F. Kennedy, and Jesus Christ, is not now competent for execution." 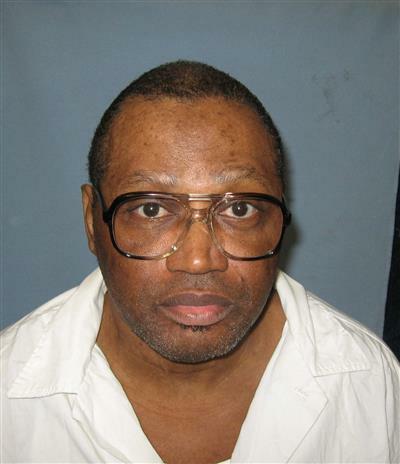 In a 5-4 decision released June 19, 2017, the U.S. Supreme Court ruled that Alabama had unconstitutionally denied death-row prisoner James McWilliams (pictured) the assistance of an independent mental health expert. The Court wrote that its 1985 ruling in Ake v. Oklahoma, which entitles indigent defendants to the assistance of a mental health expert, encompassed a clearly established right to an expert who is "independent from the prosecution." In his opinion for the Court, Justice Breyer wrote that "Alabama’s provision of mental health assistance fell ... dramatically short of Ake’s requirements." The defense had no expert to help it prepare to examine the doctors who testified for the state, and only presented testimony about his mental condition from McWilliams and his mother. After the jury voted 10-2 to recommend the death penalty, the court scheduled a formal sentencing hearing and appointed a state neuropsychologist to examine McWilliams. That doctor prepared a report of the evaluation and consulted with the prosecution. Defense counsel received the neuropsychological report—which stated that McWilliams had “organic brain damage,” “genuine neuropsychological problems,” and “an obvious neuropsychological deficit”—only two days before his sentencing hearing. On the day of the hearing, counsel received extensive prison mental health records that contained evidence that McWilliams was being prescribed anti-psychotic medication. After denying the defense time to consult with an independent expert to develop the mental health evidence for use in mitigation, the court found no mitigating evidence and sentenced McWilliams to death. Justice Breyer wrote, "Ake clearly established that when certain threshold criteria are met, the state must provide a defendant with access to a mental health expert who is sufficiently available to the defense and independent from the prosecution to effectively 'conduct an appropriate examination and assist in evaluation, preparation, and presentation of the defense.'" The Court remanded the case to the U.S. Court of Appeals for the 11th Circuit, which must now determine whether Alabama's violation of McWilliams' right to an independent expert had the "'substantial and injurious effect or influence' required to warrant a grant of habeas relief." Stephen Bright, who argued on behalf of McWilliams before the Supreme Court, said, "Today’s decision is about fairness. The adversarial process cannot function properly if the prosecution can retain mental health experts, but the defense is not even allowed to consult with an expert." He said, "James McWilliams could not have a fair trial without a mental health expert to assess his brain damage and other mental impairments and to help his counsel present that information to the sentencing court." In a recent commentary article in Medium, psychologist Dr. Frederick J. Frese, III (pictured)—a Marine Corps veteran who has himself been diagnosed with paranoid schizophrenia—argues that Congress and state legislatures should pass laws exempting people with severe mental illness from the death penalty. "Supporters and opponents of the death penalty agree that it should only be reserved for the most culpable and deliberate of criminals who commit heinous crimes," Frese writes. He says that "[m]y experience as a practitioner who has himself experienced psychosis or a flight from reality has taught me that people with severe mental illnesses such as schizophrenia or bi-polar disorder do not possess that level of culpability during these times." This year, legislators in eight states have introduced bills to bar use of the death penalty against defendants with severe mental illness, putting them in a similar class with juveniles and those with intellectual disabilities, who are also ineligible for the death penalty. Frese calls these bipartisan bills "well balanced" because they "require that each defendant be evaluated individually — usually by a judge, who carefully considers expert testimony." Jurors often misunderstand severe mental illness and, Frese says, "may even consider it to be an additional reason to impose the death penalty, rather than a reason to opt for a sentence of life without parole." A 2015 DPIC Report, Battle Scars: Military Veterans and the Death Penalty, estimated that veterans may constitute as much as 10% of the nation's death row and highlighted the prevalence of combat-related post-traumatic stress disorder among veterans sentenced to death. As a military veteran himself, Frese ties the issue of the mental illness exemption from capital punishment to the many veterans of war who are affected by PTSD and traumatic brain injury. Writing during PTSD Awareness Month, he states, "Our justice system should respond firmly, but with compassion and understanding for those who volunteered to serve our county. They should not face execution." Newly unsealed psychiatric evaluations and court transcripts in the case of Dylann Roof (pictured)—sentenced to death for the racially motivated killing of nine black churchgoers in Charleston, South Carolina—raise additional questions as to whether Roof was competent to waive representation in his death penalty proceedings and to forego presenting mental health evidence in his defense. The documents confirm that Roof represented himself in jury selection and in the penalty stage of his federal capital trial out of anxiety that his defense attorneys would present evidence that he was mentally ill. In his journals, Roof wrote, “I want state that I am morally opposed to psychology,” which he called "a Jewish invention [that] does nothing but invent diseases and tell people they have problems when they dont [sic].” The newly released documents show that Roof became irate when he realized his lawyers wanted to present a mental health defense that involved introducing evidence that he suffered from delusions, a crippling anxiety disorder, depression, and autism. The unsealed transcripts reveal that defense counsel, David Bruck, told the court that Roof “firmly believes that there will be a white nationalist takeover of the United States within roughly six, seven, eight years, and when that happens, he will be pardoned. He also believes it probable, although not certain, that he will be given a high position, such as the governorship of South Carolina.” At a pretrial hearing, Roof told U.S. District Judge Richard Gergel, "If they say I have autism, it's like they are trying to discredit me. It discredits the reason why I did the crime." He also told the judge he believed being labeled autistic would be worse than receiving a death sentence, "Because once you've got that label, there is no point in living anyway." Dr. James Ballenger, a clinical psychiatrist who evaluated Roof, wrote, "The only thing that is important to him is to protect his reputation." Bruck argued to the court that Roof was not competent to represent himself, saying, "If he is incapable of cooperating with counsel, if the decisions that he is making are affected by delusions, by fixed false beliefs, if they are the product of mental illness … the mere fact that he has figured out how to sabotage his defense doesn't mean that he's competent. It is an illustration of why it is so terrible to try an incompetent defendant." Roof was ultimately found competent to stand trial and represent himself. He was convicted and sentenced to death on January 10, 2017. The U.S. District Court for the Northern District of Georgia has overturned the death sentence imposed on Lawrence Jefferson, saying that his trial counsel had been ineffective for failing to investigate and present available mitigating evidence in his case, including evidence related to "a head injury he sustained as a child when an automobile rolled over his head." The court also found that the state courts had denied Jefferson a "full and fair" hearing on the issue, in violation of due process, when, without notice to Jefferson's lawyer, it invited the Assistant Attorney General to submit an order dismissing Jefferson's petition for relief, then signed the order submitted verbatim, complete with factual misstatements and erroneous legal citations. The potential brain damage to Jefferson was so obvious that the U.S. Supreme Court noted in a 2010 opinion sending the case back for further consideration that "[t]he accident left [Jefferson's] skull swollen and misshapen and his forehead visibly scarred." Before trial, a psychologist had recommended that defense counsel obtain a neuropsychological evaluation of Jefferson, but no evaluation was performed. An examination conducted during Jefferson's appeals process found significant evidence of brain damage, including an enlarged head indicative of brain swelling from the accident, asymmetrical reflexes, and discrepancies in verbal and visual-spatial test scores. A neuropsychologist concluded that these findings indicated right hemisphere and frontal lobe damage to the brain. A neurologist testified, "the most common thing with a closed head injury, traumatic injury of this sort, is problems with judgments, executive planning, and impulse control, the ability to foresee the consequences of your action in the future, as opposed to right now." Jefferson's jury never heard this mitigating evidence. According to the court, "The mental health evidence would have provided the jury an explanation for Petitioner’s past behavior and his testimony regarding his past behavior." 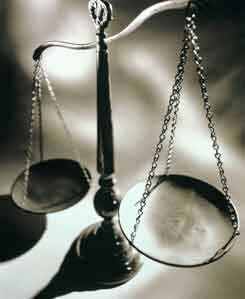 The practice of courts signing opinions and orders written by prosecutors verbatim is not uncommon. In 2016, the Supreme Court denied a petition filed by counsel for Alabama death-row prisoner Doyle Lee Hamm seeking review of his case, in which the state court adopted word-for-word an 89-page order written by the state attorney general's office and the federal court said it was bound by the state court "findings." That order rejected Hamm's claim that his lawyer was ineffective, ruling that evidence the jury had never heard concerning Hamm's childhood diagnosis of borderline mental retardation, school records reflecting Hamm's intellectual deficits, and evidence of seizures, head injuries, and drug and alcohol abuse was "cumulative." In a joint op-ed for The Washington Post, former governors Bob Taft (pictured, l.) and Joseph E. Kernan (pictured, r.) have expressed bipartisan support for proposed legislation that would prohibit the use of the death penalty against people who have severe mental illness. Taft, a former Republican governor of Ohio, and Kernan, a former Democratic governor of Indiana, call the execution of mentally ill defendants "an inhumane practice that fails to respect common standards of decency and comport with recommendations of mental-health experts." They highlight recent executions of Adam Ward, who exhibited symptoms of mental illness by the age of four, and decorated Vietnam War veteran Andrew Brannan, whom the Department of Veterans Affairs classified as 100% disabled as a result of his combat-related posttraumatic stress disorder and bipolar disorder, as examples of severely mentally ill defendants who "continue to be sentenced to death and executed" in the United States. Legislators in Arkansas, Indiana, Ohio, South Dakota, Tennessee, Texas, and Virginia have introduced legislation in 2017 that would prohibit the death penalty for people with severe mental illness, arguing that these defendants are less culpable, more vulnerable to wrongful conviction, and often falsely perceived by jurors as more dangerous. Taft and Kernan explain that "Legislation being considered on this topic varies by state, but each bill creates a case-by-case decision-making process—conducted by either a judge or jury—to determine if a defendant has a severe mental illness. Only those with the most serious diagnoses would qualify." They urge legislatures to pass these measures, saying, "This is a fair, efficient and bipartisan reform that would put an end to a practice that is not consistent with current knowledge about mental illness and fundamental principles of human decency." 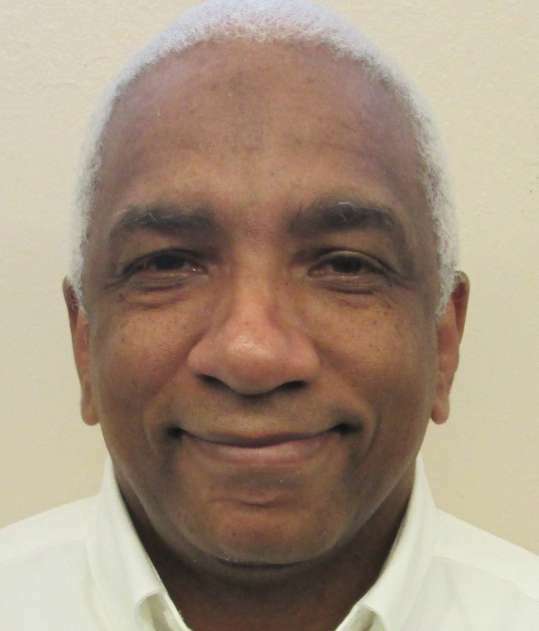 The U.S. Court of Appeals for the Eleventh Circuit ruled on March 15 that Alabama death-row prisoner Vernon Madison (pictured)—who was spared execution last May when the U.S. Supreme Court deadlocked at 4-4 on whether to lift a stay—is not mentally competent to be executed. The appeals court overturned an Alabama state court ruling, saying that the state court had unreasonably determined the facts when it concluded that Madison was aware of the reasons for his impending execution. “The only evidence in the record that does address this issue demonstrates that, due to his serious mental disorder, Mr. Madison does not understand the connection between his crime and his execution,” Judge Beverly Martin wrote. Under the 1986 Supreme Court ruling Ford v. Wainwright, the execution of individuals who lack a rational or factual understanding that they will be executed and the reason for their execution constitutes cruel and unusual punishment, in violation of the Eighth Amendment. The court found that the record contained uncontroverted evidence that Madison has "memory loss, difficulty communicating, and profound disorientation and confusion," in part caused by two debilitating strokes in 2015 and 2016. As a result, he no longer remembers the crime for which he was sentenced to death, nor does he understand why he was to be executed. He asked the prison to notify his mother of one of his strokes, but she had been dead for several years. The court noted that Madison is, "legally blind, cannot walk independently, is incontinent and has slurred speech.” Madison is one of the longest serving death-row prisoners in Alabama, having been tried three times for the 1985 murder of a Mobile police officer. His first conviction was overturned because of racially biased jury selection. His second conviction was reversed because prosecutors presented illegal evidence. At his third trial, the jury voted 8-4 to recommend that Madison receive a life sentence, but the judge overrode the jury's verdict and sentenced him to death. In 2016, the Eleventh Circuit granted Madison a stay of execution just hours before he was scheduled to die, in order to consider his incompetency claim, and the Supreme Court split on the prosecution's motion to vacate the stay, leaving the appeals court's decision in place.